Sit-com star John Krasinski directs and stars in this creative horror/thriller. "A Quiet Place" imagines a time when spider-like creatures invade the earth and begin destroying the population. Fortunately for humankind, the creatures can't see, and attack based on noise. Krasinski and his family survive, thanks to his brainpower. They walk to town barefoot on sand paths. They speak in sign language, the family learned on the birth of their deaf daughter. That role, played by Millicent Simmonds, a hearing impaired young actress, becomes key. She makes it a breakout performance. Emily Blunt adds tension as Krasinski's pregnant wife. How will they muffle the sounds of a newborn? 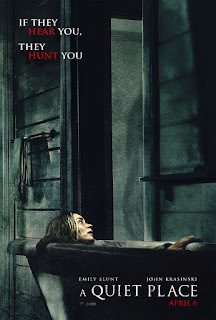 "A Quiet Place" makes you lean toward the screen. At a tight 90 minutes, you'll run screaming out of the theater, thanks to Krasinski's sure-handed direction. I can't wait to see what he does next. 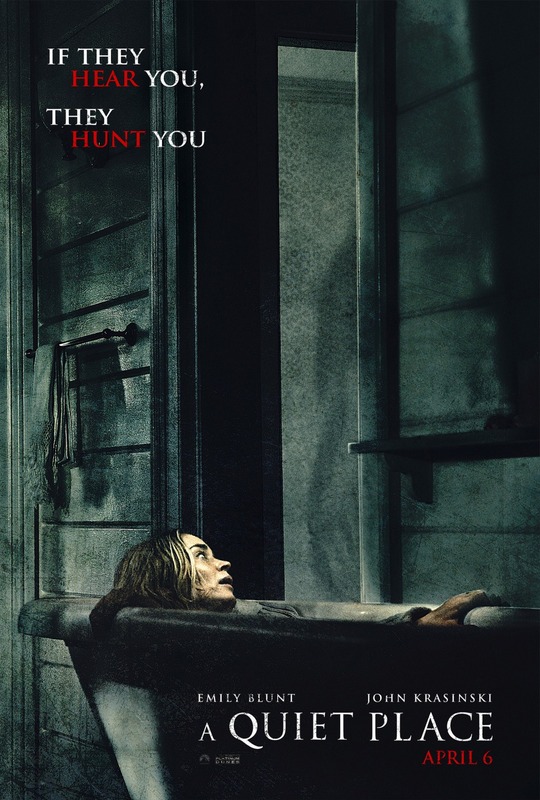 "A Quiet Place," 3½ stars, rated PG-13. Does it deliver what it promises? Horror/thriller in the best sense of the word. Is it entertaining? Wildly creative. Is it worth the price of admission? Yes.